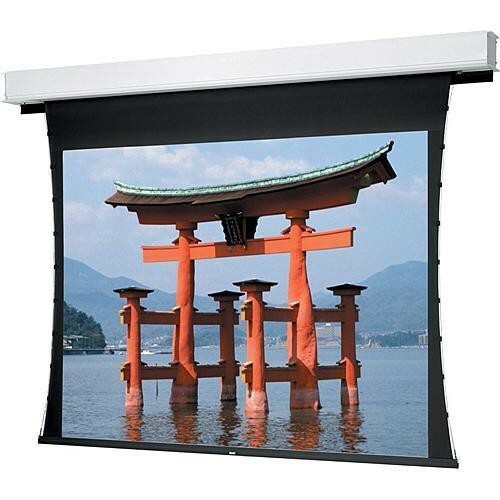 The Dalite 16 x 16' Advantage Deluxe Electrol Projection Screen has been designed in a unique way. First, you install the case while your rough construction is being done. After that, when you are settled in your venue, you choose which screen fabric you need or require. An added benefit to this system is that should you ever need to change screen surfaces, you do not have to disassemble the entire system to do it. The screen is enhanced by its handsome white powder coated closure doors and case which provide a clean look and allow easy installation of ceiling tiles. The motor is quiet which is a plus in areas such as school rooms, corporate venues, hospitals and other areas where you prefer a minimum of noise. Box Dimensions (LxWxH) 213.0 x 23.0 x 18.0"